Here I will explain how to use top clause or keyword with update and delete statements in SQL Server. In previous post I explained use top clause with insert statement in SQL Server and many more articles relating to SQL Server. 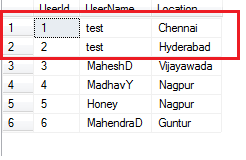 Now I will explain how to use top clause with update and delete statements in SQL Server.